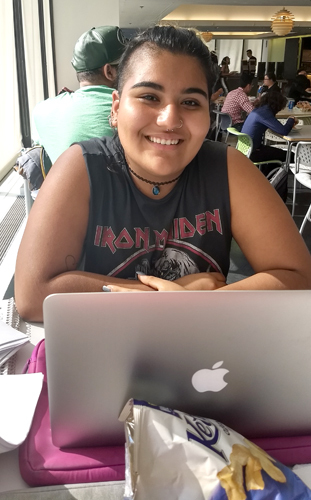 As the fall 2017 school year began way back when, five students – Gabriella Gavidia, Olivia Mittman, Angelica Vergara Daalling, Christian Van Norden and Khalin Vasquez – were ask to reflect on their experiences in the early part of the semester. This article is the final in a series of articles about the beginning of the school year. 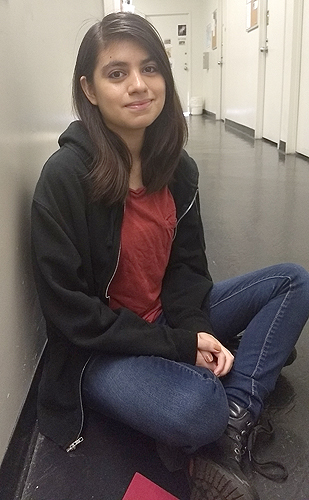 Manhattan resident Gabriella Gavidia, a 20-year-old English and media studies major, wearing a black hoodie, a red tank top and blue jeans, said she chose Hunter because it was “in the city” and that she “didn’t want to be in the middle of nowhere.” Gavidia, interviewed on the 12th floor of Hunter West, said she expected to have more internship opportunities. Her ideal internship? “Maybe something in publication” because of her two majors, she said. Christian Van Norden, 29, a media studies major reflected on his six year journey on campus and his looming commencement day in the spring. “I legally couldn’t start at, financially, until I was considered an independent by the government at age 24,” he said. “So I started at BMCC as soon as I turned 24, graduated and transferred to Hunter to finish my bachelors. The students said they found time to balance other obligations with their school work. Said Mittman: “I’m in student government. Most of the time I help out with events and coordinating things.” Mittman is on USG’s faculty committee and plans social events. She said spending funds for a student social gathering can benefit students by giving them some time to socialize because it can be hard to see them because of their busy schedules. Mittman also said she loves to put together a movie night or informal event for students to get together and bond outside of the classroom. 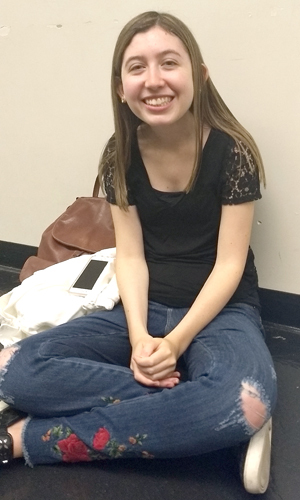 Vergara Daalling said she was about to become treasurer of a new poetry club, Hunter Slam. “I figured it would be a great experience with leadership and it wouldn’t look too bad on a resume either,” she said. Hunter Slam will focus on the art form of the spoken word. “I’m excited to hopefully get our club to compete at CUPSI (College Unions Poetry Slam Invitational). https://en.wikipedia.org/wiki/College_Unions_Poetry_Slam_Invitational “My position requires me making a budget to make this goal a reality. It’d be a great way to spend spring break,” she said. Norden also said she didn’t have enough to joint a club. “I work at the Plaza, full time and then some. It’s pretty much impossible to have a social life at this point, especially trying to graduate with honors,” she said. Asked how Hunter could be improved to benefit students, Vergara Daalling said she no longer cared about changing the school now that she’s a junior. However, she said, “If I was asked this at the beginning of sophomore year, I’d say I wish they were more involved with the student body. Maybe the school could have found a way to bring us all together. 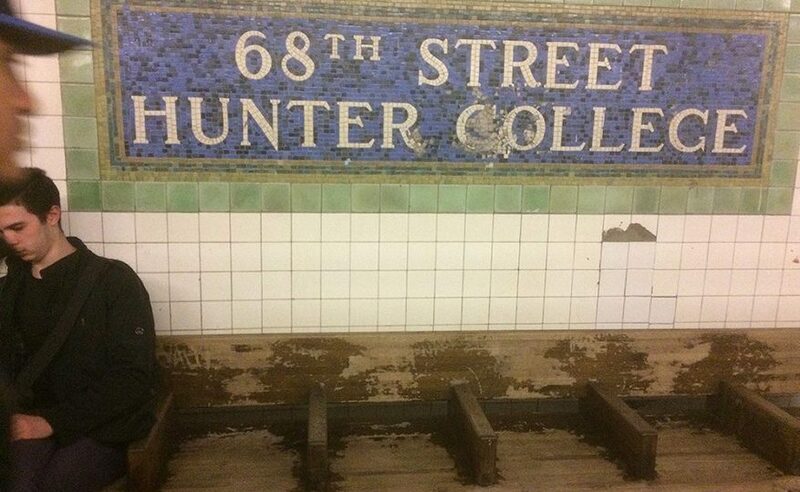 I feel as though because Hunter is a commuter school, it doesn’t lend itself to the togetherness a lot of us want. Gavidia said she has enjoyed incredible growth as a student. “Junior year is less nerve-wracking than freshman year. I had no expectations, no experience with college. Now I have two years under me,” she said. She said she will continue to learn and grow even after her expected graduation in May, 2019.